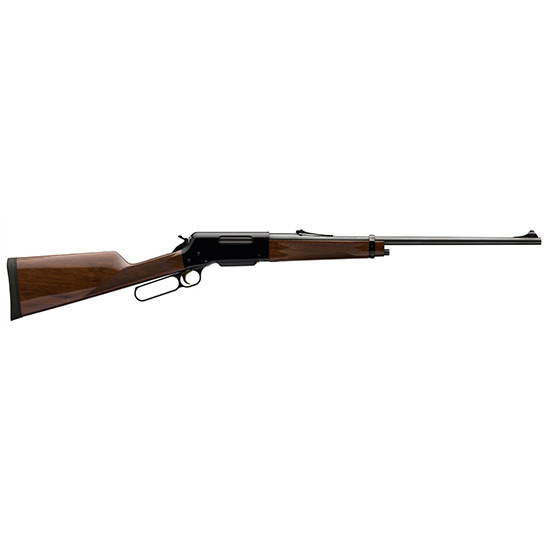 Browning 034006111 BLR Lightweight 81 Lever 243 Winchester 20 4+1 Walnut Stock Blued in. The design of the BLR is as modern as tomorrow with an aircraft grade alloy receiver glass smooth rack and pinion system and multilug rotating bolt. The exceptional accuracy of the BLR comes from its precision machined button rifled barrel that puts those fast stepping magnum bullets exactly where theyre wanted. Add in the advantages of several great stock designs and finishes a detachable box magazine low profile adjustable sights and a wide grooved trigger that travels with the lever to avoid pinching fingers and its clear the Browning BLR is ready for any action.